Finger foods and appetizers are a must for any large gathering, sporting event, and holiday. 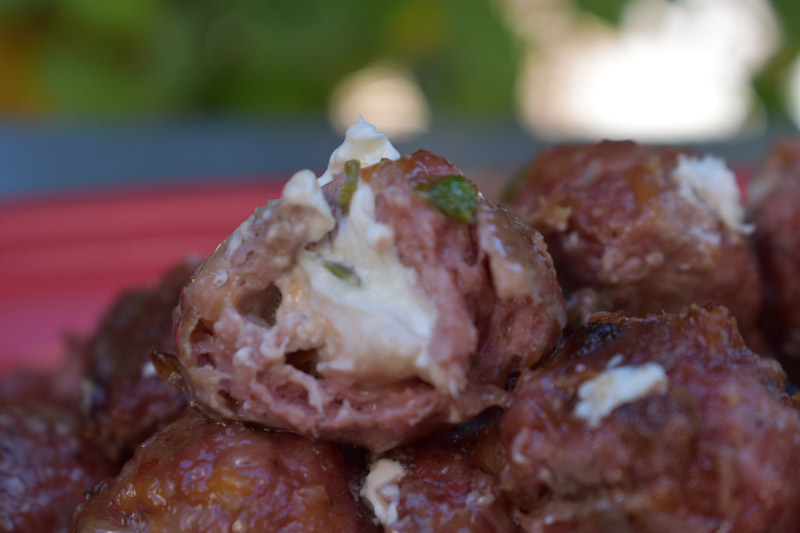 My Smoked Cream Cheese Stuffed Meatballs are always at the top of the request list, and I am sure they'll be a hit for any occasion you have planned. From prepping, to cooking, to serving, the process is relatively simple and timely. 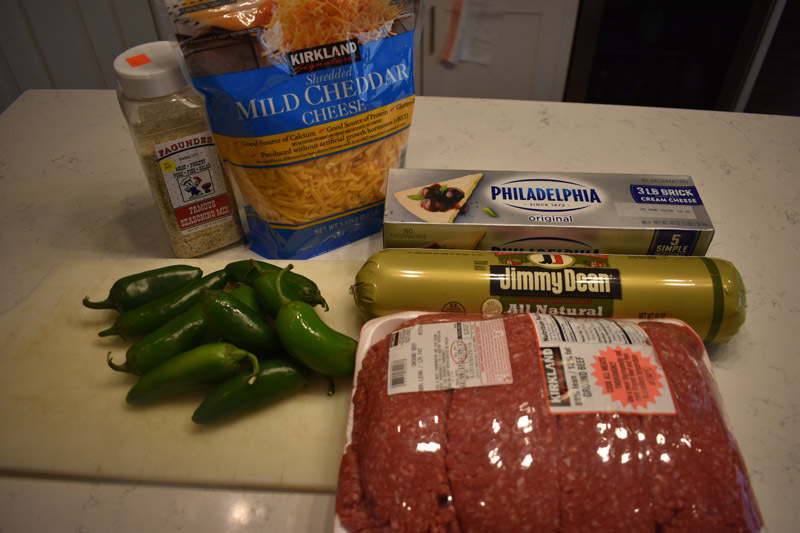 The blend of beef, pork, cream cheese, and Jalapenos is spectacular and I guarantee you can't just stop at one! 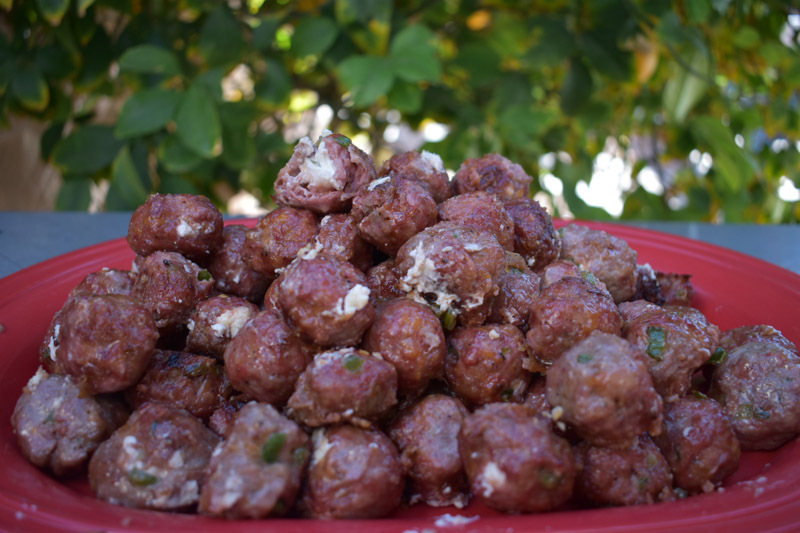 Stuffing the meatballs with cream cheese is only one of endless varieties you can go with; so, use your imagination and taste buds as your guide to what will become "THE" party favor of your get-togethers! In a large bowl, mix all ingredients thoroughly. 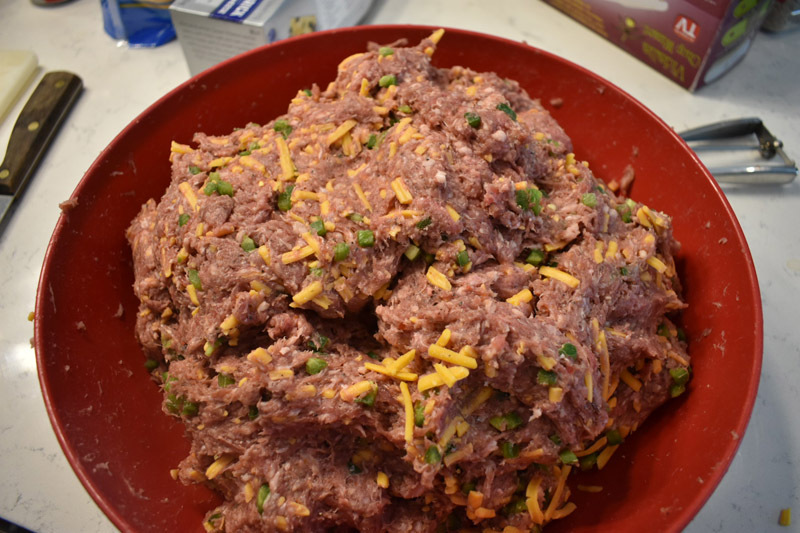 Make small one inch meatballs, flattening the first to place 1/4 inch of cream cheese in the middle. Roll meatballs ensuring cream cheese is covered. 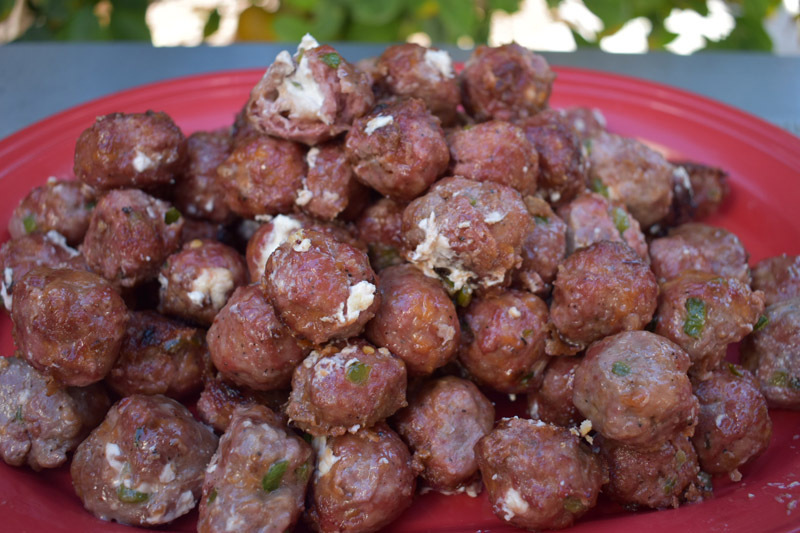 Place the meatballs on a cooking sheet that is designed for direct cooking (holes or slats); you can find disposable ones at your local grocer. The recipe should yield approximately 30 meatballs; depending on the size. Double or triple the recipe for larger parties. 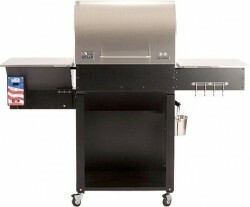 Configure your smoker for indirect heat and set your temperature to 225-250 degrees; heat range is dependent upon how long you want to cook for. 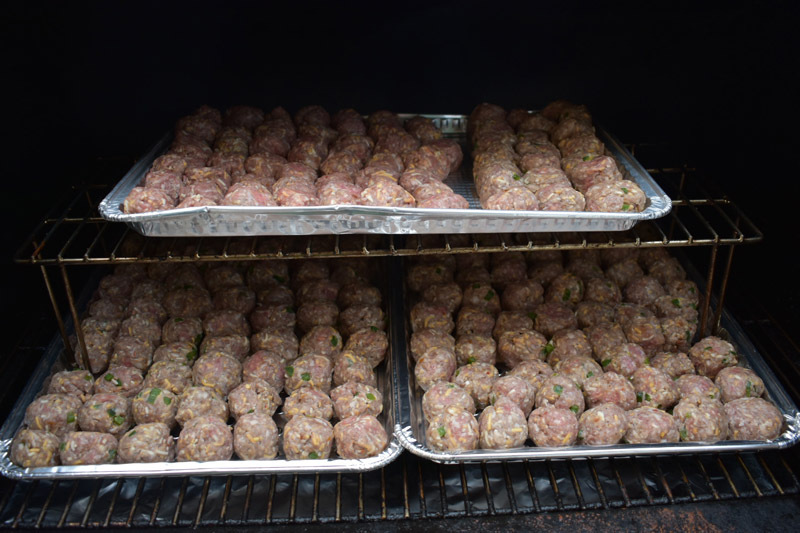 Smoke the meatballs until internal temperature is 160 degrees. 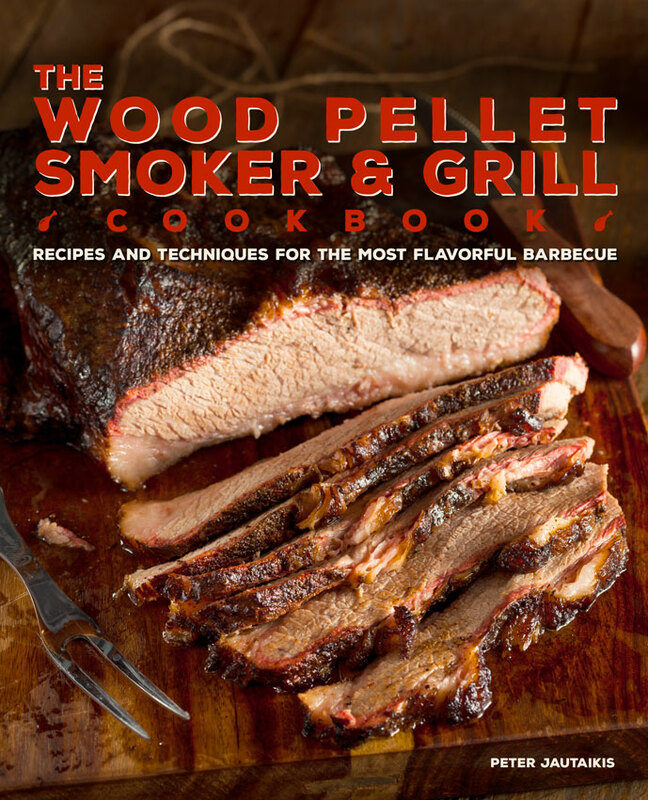 Remove from smoker and serve! Use your favorite BBQ sauce for dipping; or if you wish, baste the meatballs with BBQ sauce prior to completing your cook. ENJOY! 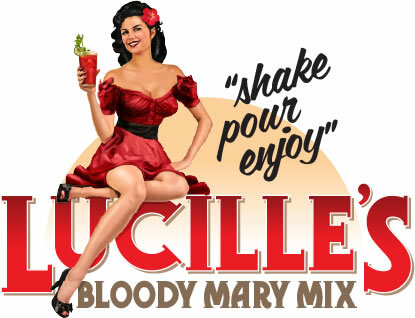 I want to make these for a party next weekend. For planning purposes, roughly how long should these take to cook? Hi Amy! Depending on the temperature, they shouldn’t take more than an hour to an hour and a half. Hope everyone enjoys them!